Liverpool was fun but the grandeur of London beckons. It was heart warming to be met at the train station by DongXing and her two lovely children. After having some delicious freshly made ice cream at Tutti Frutti, we went by the Asian market and Sainsbury to pick up some groceries. I am a food blogger afterall, and cooking is what I do. I can’t wait to check out DongXing’s gorgeous new kitchen. At the end of the evening, I had a chance to get acquainted with Mina of Authentic Vegetarian Recipes. We had a nice, long chat, as if we had known each other in person for years. Unfortunately we were not able to meet as my stay was short and Mina lives a couple of hours drive from where I was. 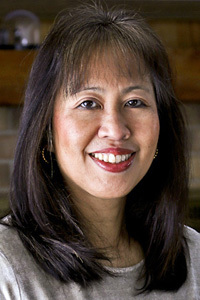 I also had the opportunity to talk with Adora of Adora’s Box. Again we could not meet as Adora was preparing to leave for vacation to Las Vegas. Phew…it’s a busy summer! The next morning, we took the first train to London after the rush hour with the Off-Peak London Travelcard (valid after 9:30am) with unlimited train, underground, and bus travel in London zones 1 to 6. 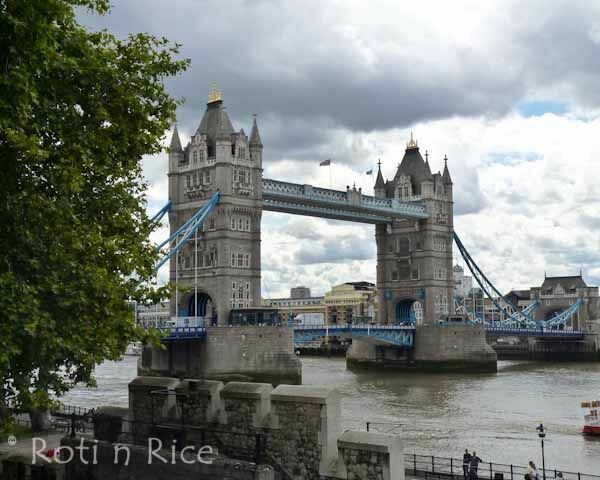 From the station we got onto a bus to the iconic Tower Bridge over the River Thames. This majestic bridge should not be mistaken for the London Bridge which is the next bridge upstream. 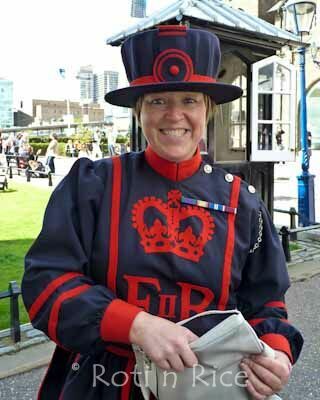 At the entrance to The Tower, we were met by the first ever woman Yeoman Warder or Beefeater. She was selected over five men and started her public duties at the Tower of London in September 2007. I asked if she would pose for me and she happily obliged. Look at that gorgeous smile! Our tummies were complaining by the time we finished our tour of The Tower. 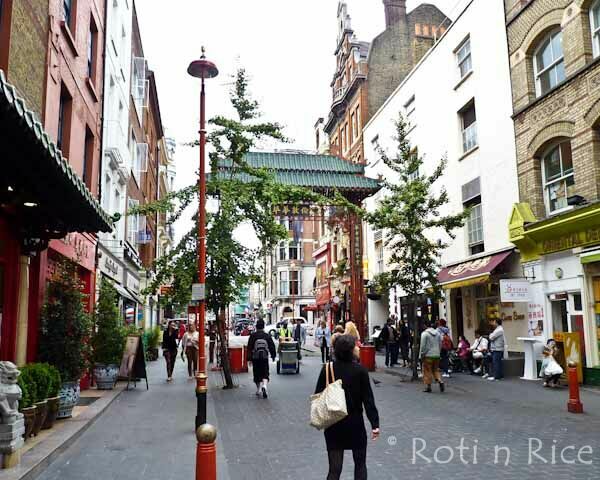 We decided to head to Chinatown at the edge of Leicester Square. 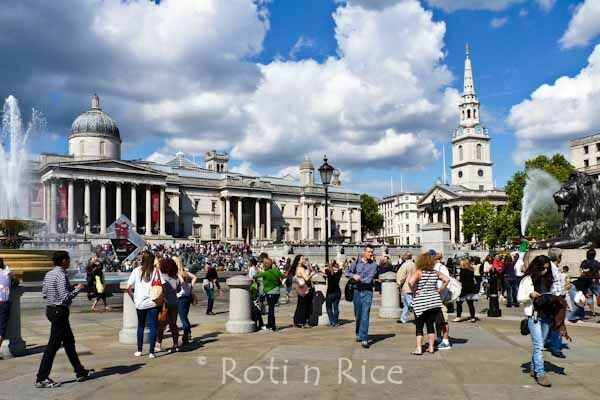 On the way there, we stopped by Trafalgar Square which commemorates Lord Horatio Nelson’s victory against Napoleon’s navy at the Battle of Trafalgar in 1805. 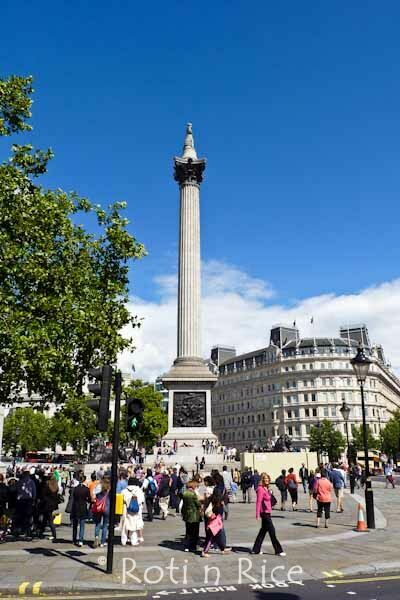 The central monument in Trafalgar Square is the figure of Nelson gazing over London. We hopped on a bus to Green Park. 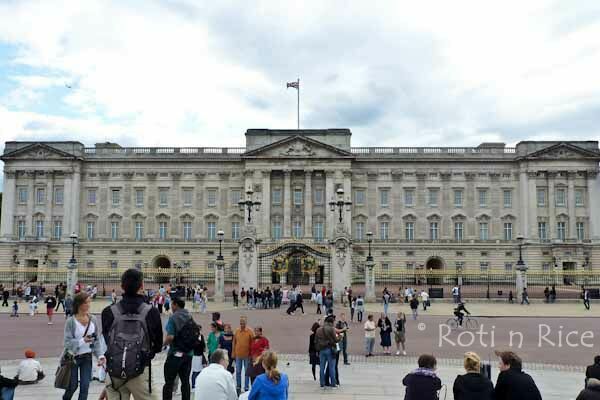 We wanted to cut across the park onto The Mall, which is the road running from Buckingham Palace, so that we could walk along it towards the palace. Instead, we found ourselves at the entrance of the palace. That’s me and the view of The Mall to Admiralty Arch from the palace. After catching our breath, we walked through St James Park towards Whitehall. 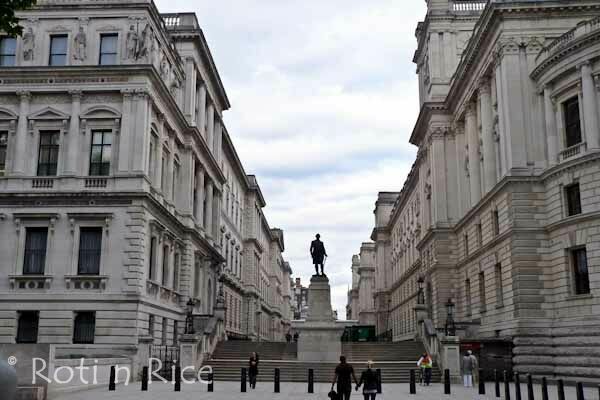 Whitehall is the center of HM Govenment. We did make a brief stop at the entrance of Downing Street which is all barricaded. 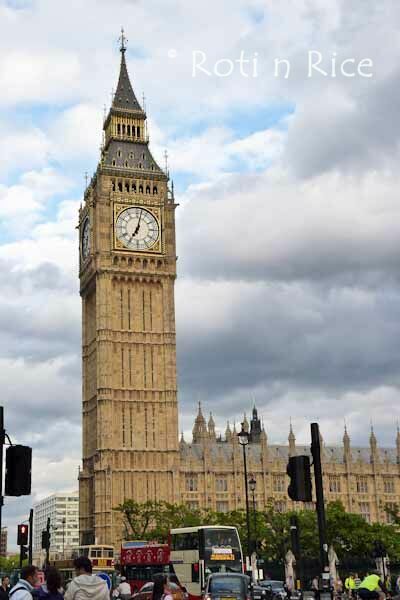 Our next stop was Big Ben. As you can see it was getting late but since it is summer, we still have more than an hour of daylight left. 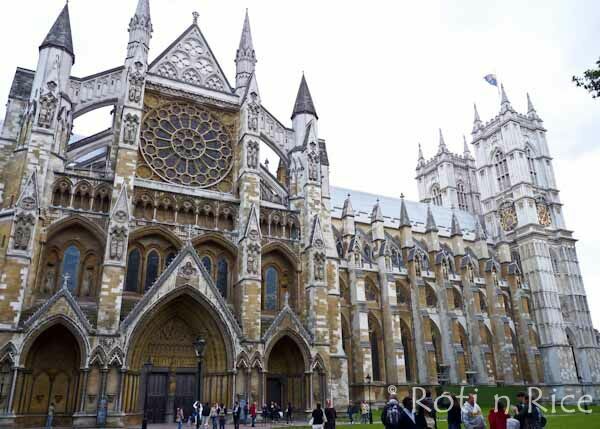 I had to see Westminster Abbey, the traditonal place of coronations, burials, funerals, and weddings. The latest wedding there was of course that of Prince William to Kate Middleton. Unfortunately, I did not get to see the inside of the abbey as it was past visiting hours. 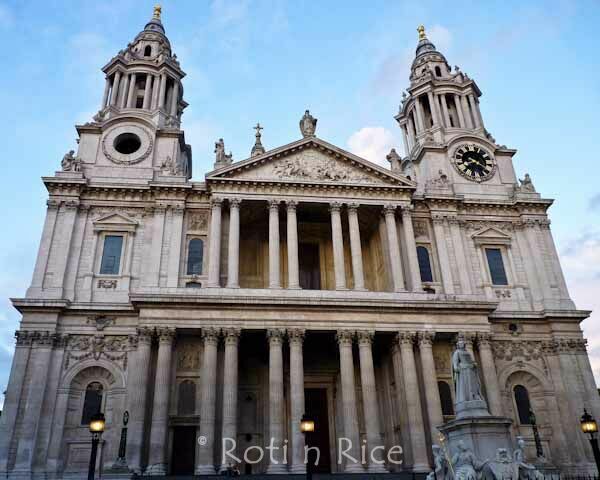 Our last stop in London was St Paul’s Cathedral. Daylight was waning and we were ready to head home on the train. It was an exciting day out! For part 1 and 2 of my travel to England, please check out Coddled Eggs from Merry Olde England and The White cake Album, Liverpool. And now for the recipe. My dear friend, DongXing, has very generously agreed to share her excellent fish pie recipe here with us. I clicked away with my Panasonic FZ35 while she cooked. I do apologize for the poor shot of the dish as daylight was fading when we were ready to eat and I did not want to keep everyone waiting. This pie can be assembled ahead and kept in the fridge. Just take it out of the fridge and pop it into the oven just before meal time. Do not be deterred by the long list of ingredients. It is actually quite simple to put together and you will be happy you did! Many thanks to DongXing for this delicious fish pie recipe! I can’t wait to make it at home. The first winner for Food Cures is commenter number 6, Lyndsey and the second winner for Slim & Scrumptious is commenter number 18, Nami! Congratulations Lyndsey and Nami! Please e-mail me with your addresses so that I can forward it to the the people at JoyBauer.com. Thank you all for participating in the giveaway. A very special thank you also to Joybauer.com for their generosity. Cook lots of food and stay safe Victoria! Biren – this pie is very interesting! I’m a big fan of one pot meals especially since my kids mix it all together in the end. I especially like that it can be assembled ahead of time. I wonder if you could make extras and freeze it for later? Can’t wait to head back to the UK! That pie looks WAY too good – stuffed with so much goodness! Wow Biren I am so tired after all that traveling around England. The fish pie looks really good. At first I wasn’t sure, but after seeing your photos and the Béchamel Sauce it sounds yummy! I have so busy at the school clinic and exhausted when I get home I haven’t been on-line much. Thanks for the contest, so excited to win! What a nice surprise. 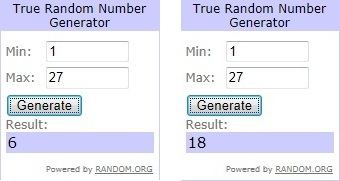 You are welcomed but it was the random generated that picked you. 🙂 I hope you like the book. It sure is a busy time of the year. I am sure things will settle down for you soon. Good to see you here again Megan. I hope you are doing well. It must also be a busy time for you with school in session. This is a very tasty pie with lots of goodies in it. Very filling too! It looks like you had a great trip. Those photos bring back memories for me. I went there with my son during a spring break. It was very cold in London at the time. The fish pie is loaded with good stuff. Great comfort food! I did not know much about Fish Pie till I watched Gordon Ramsay in The F Word recently. I did make a kind of Russian fish pie, Coulibiac, some time back but this dish is new to me. It is very tasty and delicious! Lots of good memories from my time studying in London, your photos brought them back for me. Loving these pot pie dishes. So homey! Fish Pie?? I haven’t eaten one before. LOl! Biren, u’re making me sooooo jealous. I love LON & it’s been quite a few yrs since my last trip there. I wanna go again!! 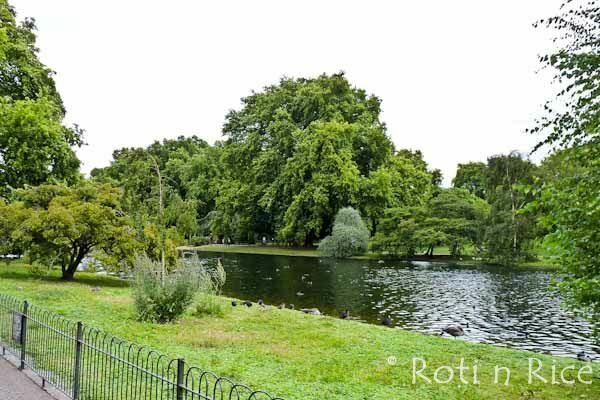 Thanks for sharing the beautiful London’s photos. Appreciate so much of the step-by-step photoso of making fish pie, look so delicious, bookmarked and i must make this soon. Ya, congrates to the winners! What a quick trip to London and the view looks absolutely beautiful. The sky is so so clear just like in New Zealand…. the kind of blue you couldn’t sees it here in M’sia! And congratulations to the winners! I love your seafood pie as well, sounds really comforting and juicy delish. Beautiful post, Biren! I love the pictures 🙂 And that fish pie looks so good! 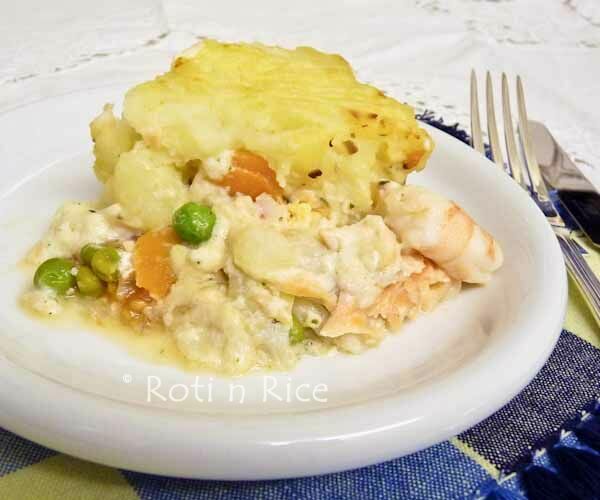 I love fish pie… Congrats to the winners of the giveaway! Biren, what a magical trip. Adore the look of that fish pie and can just imagine you in the kitchen in Liverpool catching up together. Best times! 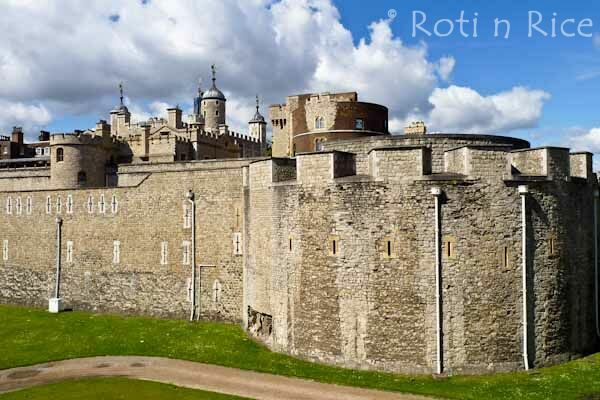 Great London photos – you’re making me want to go back again there now! I never been to London…therefore thank you so much for the “tour”…love the pictures. As for the fish pie, it sure looks delicious. I loved seeing the rest of the photos. Thanks for taking such gorgeous pics. The fish pie is amazing. Those are some massive shrimp. At first I thought I was looking at octopus tentacles! The final result is very yummy looking. Many thanks to your friend for providing the recipe and allow you to take pictures of her while she cooked. Sorry about my delay acceptance. =) Thank you so much for the giveaway gift and I can’t wait to receive it! Thank you thank you! Glad to hear you like potatoes too. 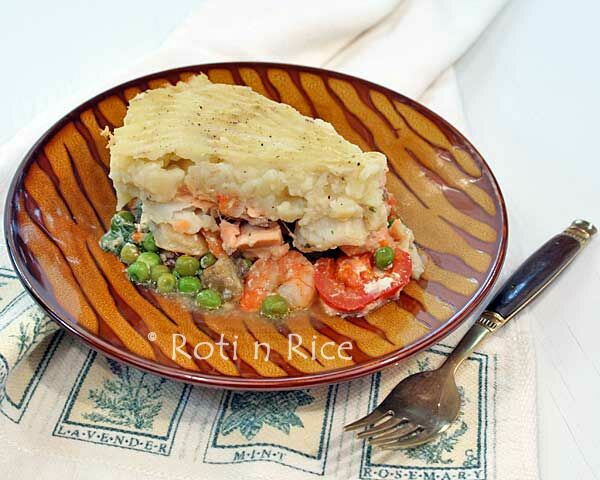 This pie is like a seafood shepherd’s pie and it is very tasty with all the good stuff in the filling. wow Biren you have taken the fish pie to a whole new level! Been dreaming of one day going to London! Your photos just made me so jealous! But I’m glad to know how much fun you had! And the fish pie looks so divine! It was so generous of your friend to share her recipe. It’s a seafood shepherds pie! My boyfriend would love this! Biren, that pie looks so delicious. Your pictures brought back memories of my stay in UK. That’s a great tour of London! Another place that I would love to visit! And the fish pie looks really delicious. Have a lovely weekend, Biren! Yes, we did chat as though we had known each other for years. Your happy and friendly nature shows in your writing!! London and Paris are two cities you would never get tired of visiting. You were within a stone’s throw from my Office!! It’s a shame I was on holiday during your visit. I really enjoyed talking to you and we must do so again. Thanks Mina for your friendship! I really enjoyed chatting with you. Yes, there is lots more to see in London and I hope to cover a little more each time. It is a shame we could not meet. Will definitely try to do so the next time I visit. I have never had a fish pie before…looks and sounds interesting and delectable. food and the fun… a great combo along with the delicious fish pie. What a fun trip. You must be exhausted! I’ve never made a fish pie, but it looks absolutely delicious! Your photos of London are so gorgeous…they look like professional post cards~ so glad you had such a wonderful time there! The fish pie looks incredible…looks like a lot of work with all that layering, but it’s all worth it at the end! Fish pie! Sounds so interesting and I bet it is very delicious too. Love to try this for my family during the weekend. Do give it a try, Ann. It is delicious and a great weekend dish. You can prepare ahead and bake it closer to meal time. 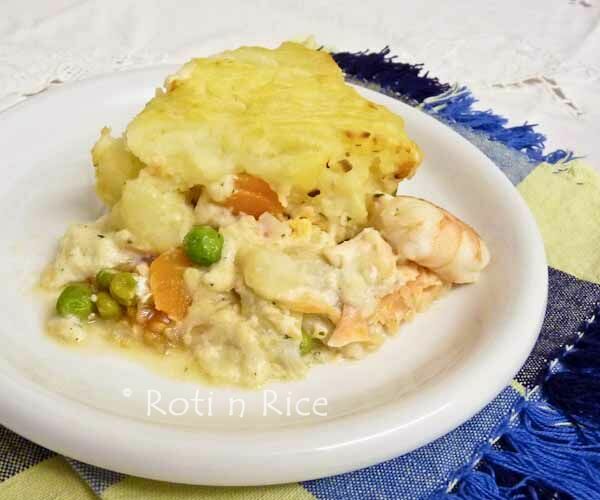 HI Biren, What an honour to have our humble fish pie mentioned on your blog. I had fun making this with you, and to be honest, I did feel like a celebrity cook with your camera zooming and panning here and there! I really enjoyed the fish pie and so did the family. I especially like the fact that it can be assembled ahead. Makes a perfect weekend dish! Lovely recipe for the fish pie…love the layers, just beautiful! Fab fish pie! I do miss London. I only live an hours drive away but I miss living in London. I remember when my son was born and we drove him home from the hospital, through the streets of downtown London and I thought how lucky he was to have been born in such a great city – so much history and he was the newest chapter! 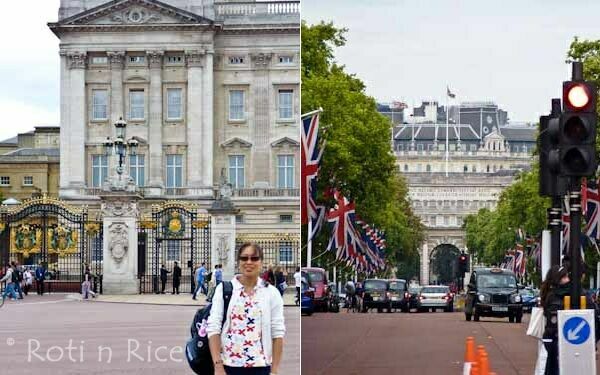 There is much to see and do in London. Each time I visit, I try to see something different. An hour’s drive is not too far away but a good distance from the the hustle and bustle of the big city. I enjoy visiting for the day but I do prefer living in the suburbs.